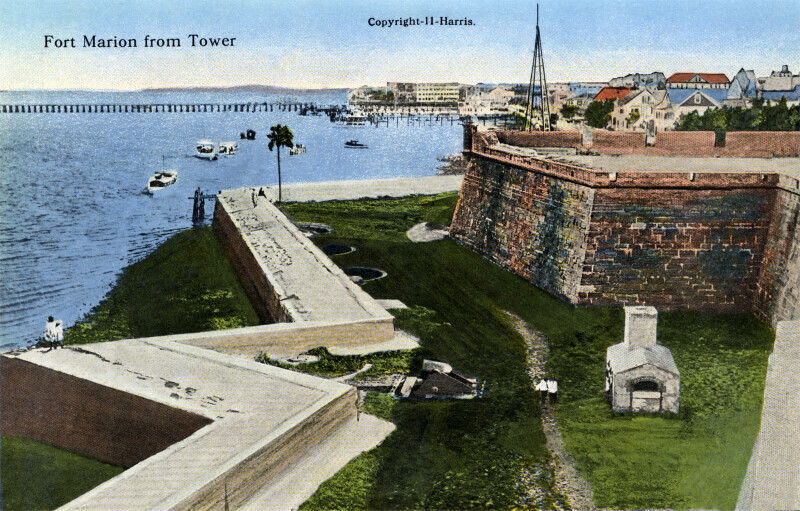 This overhead view of Fort Marion shows the water battery, the hot shot oven, and a bastion with a turret on the outermost corner. In the background, there are ships on the water. In the distance, there is a bridge stretching across the water, and the buildings of St. Augustine. This fort is on the National Register of Historic Places, and is a National Monument.